For patients and physicians looking for an opioid-free alternative to lower back pain treatment, low back pain laser therapy is proving to be to be a medical breakthrough with incredible results, no harmful side-effects and, most promising of all, no potential for addiction. Thanks to Erchonia’s FX 635 Laser — the world’s first and only laser designed to relieve chronic low back pain — laser treatment for lower back pain is now a reality. Best of all, the FX 635 is FDA market cleared and proven to work without the need for invasive surgery or the potentially harmful prescription of opioids. First and Only Chronic Low Back Pain Laser. 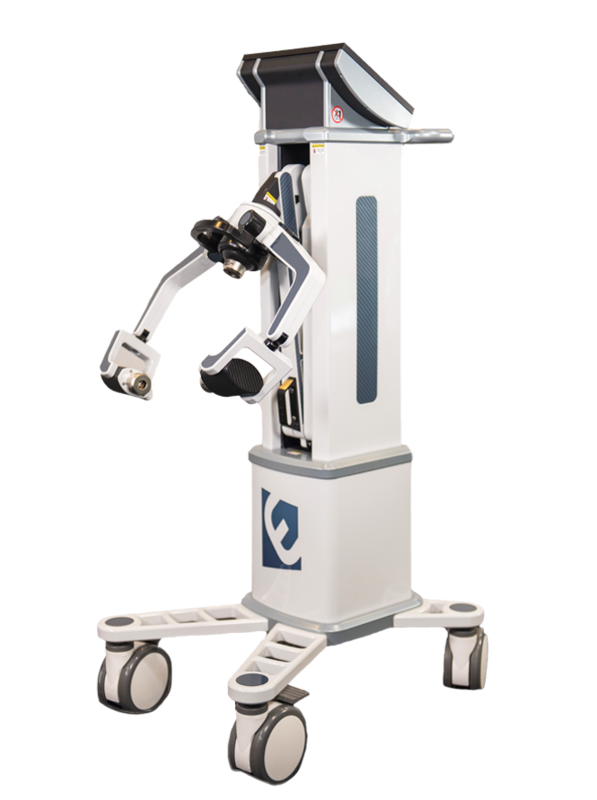 Discover the only laser on the market for the treatment of chronic low back pain. Our new FDA market cleared laser has been proven in double-blind, placebo-controlled, randomized, parallel group, multi-center clinical trial to effectively treat this painful condition. The participants of the FX 635 Clinical Trial showed a 58% pain reduction at 2 month follow-up evaluation. This trial went on to demonstrate that the FX 635 is successful in the treatment of chronic low back pain. The recent clearance of the FX 635 is groundbreaking for the pain management community and the war on opioids. How Does FX 635 Work? The FX 635 uses low-level laser technology and patented laser diode arms to precisely target lower back pain centers. It reduces inflammation while promoting bio-stimulation at a cellular level in the musculoskeletal point of the pain’s origination. 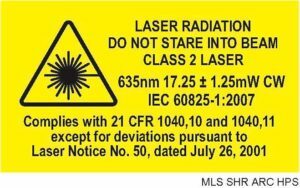 Unlike other lasers that are too strong and unreliable — and produce unwanted heat — the FX 635 is fully compliant with ISO 13485 Medical Device Quality and IEC 60825-1 Laser Safety. Patients with chronic low back pain who choose FX 635 treatment experience improved comfort and quality of life without the risks associated with the side effects of opioids and nonsteroidal anti-inflammatory drugs — or NSAIDs — that can cause ulcers, bleeding, kidney disease and heart attacks. Works in conjunction with other treatments: Low-level laser treatment for lower back pain can supplement other traditional treatments for the condition, such as chiropractic or massage/muscle stimulation. Because the FX 635 helps patients return to an active lifestyle, other treatments that work on positive muscle stimulation work in unison with its healing effects. A viable option to surgery: Low-level laser therapy provides a far less physically intrusive option for low back pain relief. In addition, without the recuperation period associated with post-surgery recovery, the FX 635 allows patients to feel comfort and relief much faster than they do during the often painful and long recovery period associated with surgery. Targeted relief: The FX 635 — equipped with the highly accurate positioning of its laser diode arms — goes to work on the precise location of the pain’s origin. Unlike prescription medications that can have harmful side effects on other organs in the body, the FX 635’s ability to precisely target and treat pain centers means the only action that occurs during treatment is the painless bio-stimulation of the affected areas. This, in turn, leaves the patient’s body better able to recover and return to an active lifestyle. Back pain represents a lucrative opportunity for your practice. Today, chronic pain affects more Americans than diabetes, heart disease and cancer combined. 50% of all working Americans admit to having back pain symptoms every year. In fact, back pain is one of the most common reason for missed work. It is also the second most common reason for people to consult their physician. It has been estimated that Americans spend as much as $50 billion each year in search of relief to back pain. Discover how the FX 635 can provided lasting relief to your patients who deal with lower back pain. Thanks to its triple-head, hands-free design, the medical professional just has to set up the FX 635 and go. This allows the physician to see other patients while the FX 635 does its work. Treating chronic low back pain has never been easier. 1) Have your patient lay face-down on the examination table, adjust the three FX 635 heads. 2) Set the touch pad for the low back pain setting. 3) Make sure the lasers are in proper alignment for low back pain. 4) Feel free to check on other patients while the FX 635 is doing its work. As a world leader in developing low-level laser therapy in conjunction with scientific and clinical research, Erchonia Corporation’s commitment to supplying quality without compromise is completely embodied in the stellar performance of the FX 635 laser. 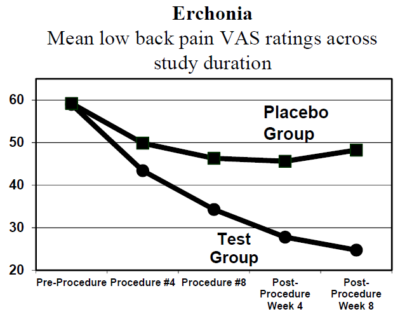 If you are a patient looking for a non-invasive, drug-free treatment for your chronic lower back pain, you can search our website to find an approved Erchonia laser provider. If you are a physician interested in more product information — or would like answers to your FX 635 questions — you can contact us at your convenience.